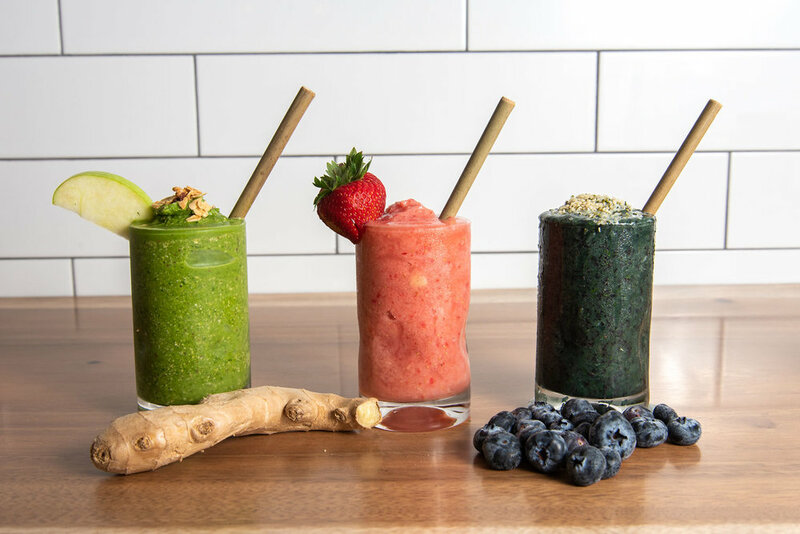 We NEVER add sugar, artificial sweeteners or commercially bottled juices to our smoothies! Bring your own cup or use our glass mugs in store and get a free upgrade to a Large! Feel free to make a custom blend or change our suggestions above as you would like!